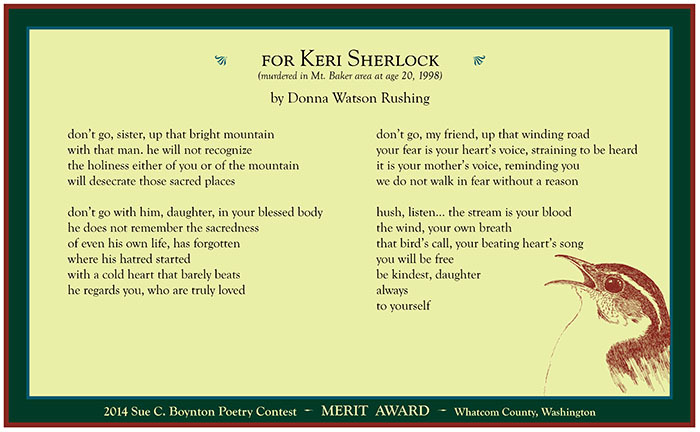 *Copyright 2014 by Donna Watson Rushing. Broadside designed and illustrated by Anita K. Boyle, Egress Studio. Hugo House has another stellar year of literary lights coming our way. 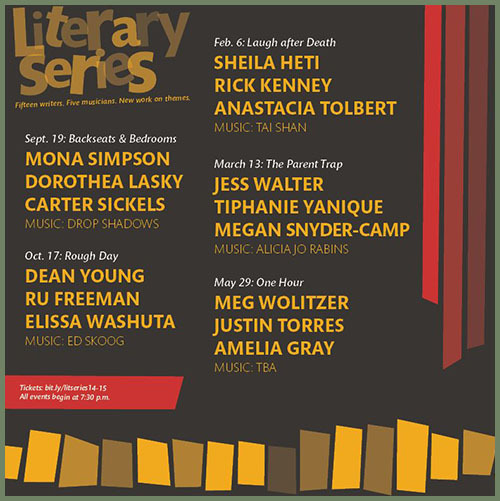 The 2014-15 Literary Series begins Friday, September 19, with “Backseats & Bedrooms” featuring new work from novelist Mona Simpson, author of Casebook and other novels; poet Dorothea Lasky, author of four books of poetry; Carter Sickels, winner of the Lambda Literary’s Emerging Writer Award; and The Drop Shadows, who will provide music. The Literary Series continues with equally intriguing presentations in October, February, March and May. Tickets are on sale for individual events, workshops and the full series. Go! Those little words on the refrigerator are hard to resist. They invite humor, poetry, reflection. Well, the folks in Fargo, North Dakota, writ large (literally) that idea for TEDx Fargo, and if you like what they did, here are the instructions. The International Day of Peace is observed worldwide on September 21. 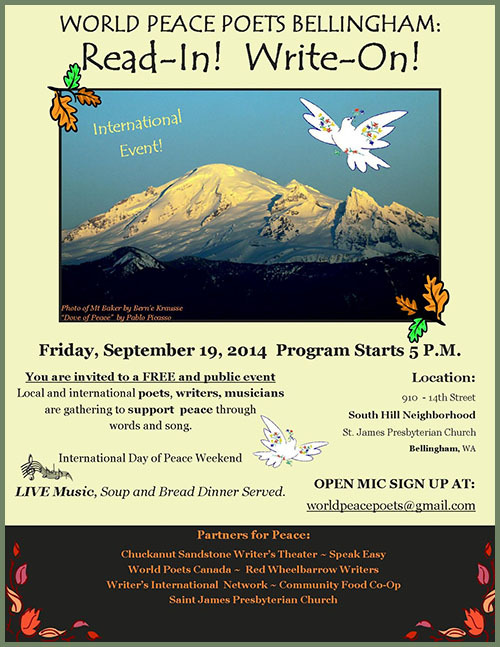 In Bellingham, Washington, the celebration will begin two days earlier, on Friday, September 19, 2014, when dozens of poets and musicians gather to share words of peace. The free public event is held at St. James Presbyterian Church. Doors open at 5:00pm, a bread and soup supper is served at 5:30pm and readings begin at 6:15 and continue until 9:30 or 10. Each reader has a maximum of five minutes at the mic. To sign up for the open mic, send an email to worldpeacepoets@gmail.com. Be sure to include your contact information. You will receive a confirmation e-mail indicating an approximate time for your reading. “I have seen the universe! Jack Straw Productions, in Seattle, is the Northwest’s only non-profit multidisciplinary audio arts center. 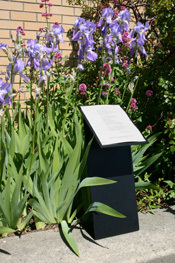 Each year, Jack Straw Residency Programs support emerging and established artists and writers in three program areas: artists working creatively with sound; introducing writers to the medium of recorded audio; and offering artists of all disciplines the opportunity to create and present work involving sound and technology. Through a curated application process, multiple artists/writers are selected in each category and produce a variety of exhibits, recordings and performances. Applications for Jack Straw Residency Programs are now available online. Completed applications are due October 21, 2014.